The Lashes Pendant has a contemporary look with moving pieces that mirror the blink of an eye. 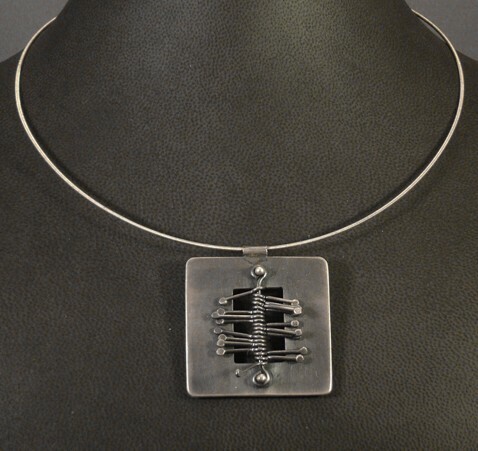 The pendant is 1.75" square made of oxidized sterling silver. It hangs from a 16" sterling cable with a tension clasp. Signed by Juliet.